JERUSALEM (AP) — China’s vice president on Monday kicked off a trip to Israel that illustrated the warming ties between the two countries. 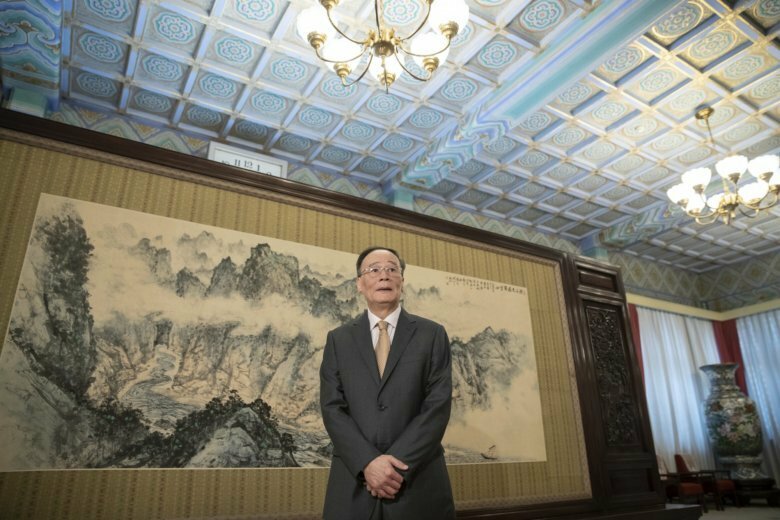 Wang Qishan is in the region for a three-day trip. The highlight will be co-hosting a joint summit of innovation cooperation with Israeli Prime Minister Benjamin Netanyahu. He will also head to the West Bank to visit the Palestinians. Wang, a confidant of President Xi Jinping, is one of the most senior Chinese officials to visit Israel since the countries established diplomatic relations in 1992. In 2000, China’s then president, Jiang Zemin, became the first-ever Chinese president to visit. Netanyahu called the visit a “tremendous compliment” to Israel. Wang visited Jerusalem’s Old City before he was welcomed by Netanyahu at the prime minister’s official residence for dinner Monday. Israel and China have become close trade partners, with China showing interest in Israeli developments in agriculture, water and other environmental technologies. Israel has also become a popular destination for Chinese tourists.